More then ever, you can’t only serve great food and/ or drinks in order to succeed, as nowadays people tend to care more about aesthetic pleasent spaces where they can feel good vibes and have a nice time. So, we selected 7 bar decor ideas to help you save a lot of time in the creation of your unique establishment. 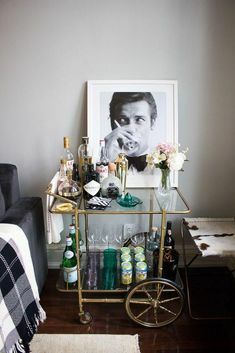 YOU MAY ALSO LIKE: Bar Wall Decor: The Ideas You Have Been Looking For! Before starting planning out what your space is going to look like, you need to put your ideas in place. Know who your costumer is and what you want them to feel. 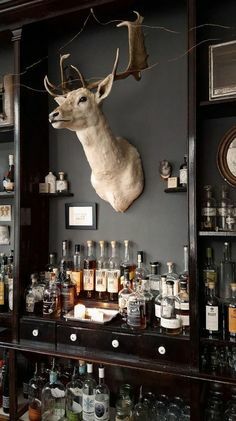 But careful, even tho you may have a very clear thought on who your target is and the concept that you want for your establishment, bare in mind that that is only a guide line, as you shouldn’t try to impose a bar decor idea on the space, as it may hunt you later on. After crystallizing your establishment’s identity, make a detailed plan before you start any purchasing or building as it will save you from having to make costly course corrections down the road. Once you have decided who is your target, the main concept and chosen the space, it’s time to start visualizing. 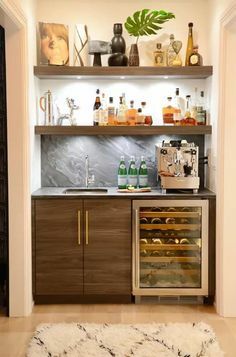 Before starting any purchase, check it all out, picture what works or doesn’t, see what corners may need more attention, embrace your bar design and let your imagination go wild. 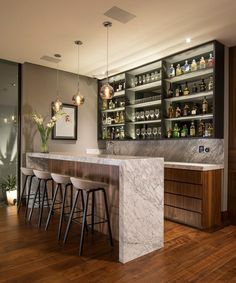 Architectural places are more likely to create a more creative and interesting aesthetic and is great to come up with out of the box bar decor ideas that you wouldn’t otherwise. 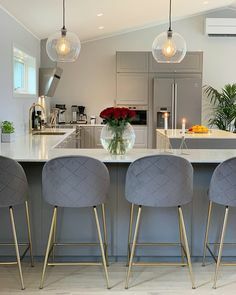 Althoug you may have a target in mind, that doesn’t mean that those will be the only people enjoying the space, therefore you need to try to create different zones with your bar decor ideas, where if someone walks in the door, they automatically know where they feel comfortable sitting. This can be archived by betting on different bar furniture in different areas, as one key to having longevity is to make sure your bar set isn’t cookie cutter, which means it’s not all sourced from one catalogue. Even though you are creating different spaces in your establishment, you’ll want one major design element to draw all of them together, or else it will just look weird. 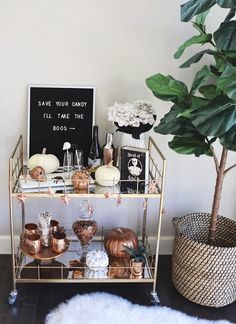 To avoid that, start with those high-impact aspects, unique pieces, but be careful to not go over board with your bar decor ideas. A few key elements can do all the difference, and after you can choose. 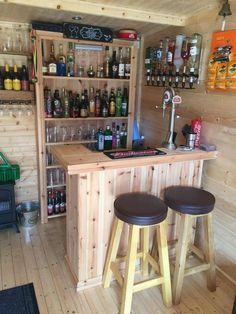 Once those are decided upon, it quickly becomes obvious which smaller, less expensive bar furniture choices will fit with the overall theme or not. Customization can be a “double-edged sword”. 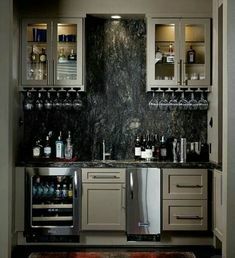 Adding customized bar furniture can be an differenciating aspect, but is also expensive. Many times, because of the time spent for labor, materials cost, pickup and dropoff time, and potential mistakes/learning curves for first timers, you often end up spending more than you would have had if you simply bought it new. Our advice is to bet in high-impact custom things instead of deciding to go with everything that route. 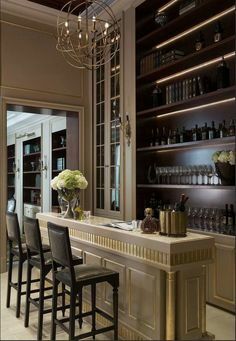 Even tho you may have very clear bar decor ideas, bare in mind that you may be missing something that a designer, for instance, may notice, as they have experience and have seen which mistakes happen when you’re winging it for the first time. A knowledgeable designer can help you consider the customer experience from all angles. 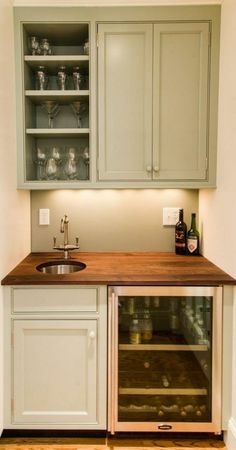 This may just be the help you need to really turn the space around and make your costumers stay for another glass of wine. When planning a bar design or restaurant decor ideas, it’s really important to have all aspects in mind. 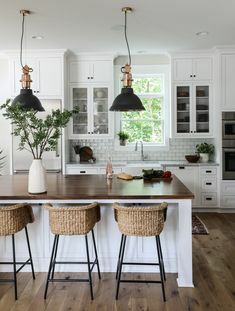 You can’t spend all your budget in those big impact pieces or the costumized bar furniture, as you may not be left with enough for the little important details. Many times those little decorating pieces get sacrificed, and they make a huge impact in the confortness and welcoming of your space. 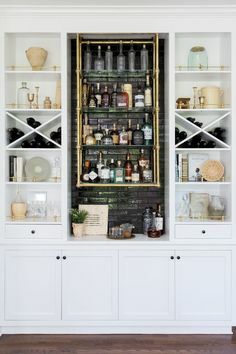 So, if you’re starting a new project we hope these bar decor ideas help you save some time, but remember to not cut out your planning time as that is the major step to archiving great results.